When it works, the U.S. criminal justice system is excellent. When it doesn’t, as is the case for many defendants who are poor, very young, and/or people of color, it’s appalling. Stevenson, a black, Harvard-educated lawyer and MacArthur “genius grant” recipient, has made those disenfranchised defendants his life’s work. He and the Equal Justice Initiative he founded put their lives on the line for their clients. 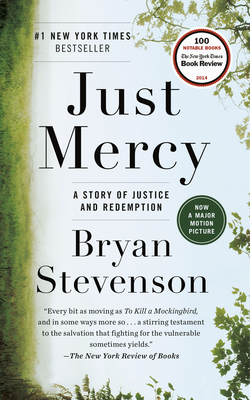 This is a must-read for anyone who cares about justice, racial issues in America, or decency.